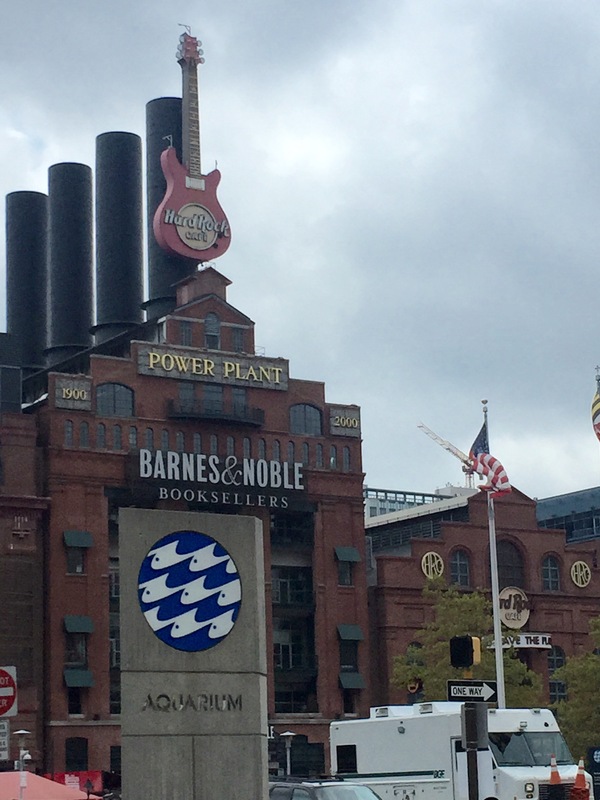 I’m taking a quick break in the vacation series to share the wonderful experience I had at Hard Rock Cafe in Baltimore today! Hard Rock Cafe is a pretty well known chain restaurant, but upon arriving I was still a little anxious – especially since was my first time eating at any Hard Rock Cafe. I arrived famished and ready to eat so I was hoping they would be able to accommodate my food allergies and make me feel comfortable. While we were being seated I briefly mentioned to the hostess that I have a food allergy. Within a couple of minutes of being seated the manager came to our table and discussed food preparation at length. I was surprised and very impressed of how aware he was of food allergies, and his initiative to personally cook my food. He added that both kitchens in doors were either making sauces or being used to cook items with my allergen, and decided that he himself would cook my special order on the grill outside. Overall the experience was wonderful! 5 stars! Not only was the meal filling and delicious, I felt more comfortable when he personally brought it out to the table. Furthermore, before I left he checked back to make sure things were all ok and the food was great! I definitely recommend the Hard Rock Cafe in Baltimore! Next > General Mills says Bye to Food Dye!